In April 1981 Dan Everard started the design of a revolutionary power-chair for his seventeen month old disabled daughter so that she would learn things in step with her peers. People started to ask for chairs like the original 'Yellow Peril' for children that they knew, so the idea was production engineered to create the 'Turbo' from which the 'Dragon' for adults and 'SnapDragon' for children were eventually developed. Thirty four years later Dan Everard's team delivered the 2000th machine of this type. 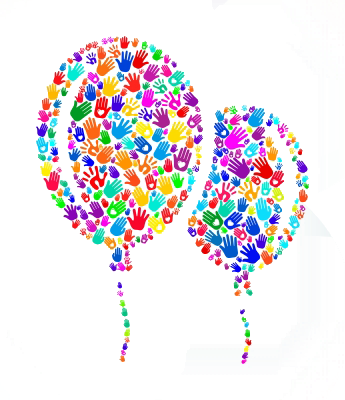 To celebrate this we're asking you to sponsor 2000 "balloons", one for each of the 2000 lives set in motion. 6 June 17 THE CAMPAIGN GOES ON,br> You may have noticed we've been a bit quiet as we've been struggling with the world helium shortage and its environmental implications	for a balloon release. So, reluctantly, we've taken the decision to rejuvenate the campaign with 'virtual' balloons until we've found	a way of doing the 2000 justice! 28 March 17 Another year, another NAIDEX, this time we're in Sherwood Forest. Come and say hi! 4 June 16 People come from all over the world to get access to Dan's designs. Bookings for this Autumn's INTERNATIONAL PROGRAM close in one week! Some of the lives who have benefited directly from Dan’s engineering. Providing specialist, bespoke powerchairs for very active disabled people.